In January 2019, in the company of seven people and a permanent, three-man yacht crew, I am going on a diving and photographic expedition to Antarctica. Cruise on the route Ushuaia – Antarctic Peninsula – Ushuaia, will last four weeks and will be held from 16 January to 10 February 2019. The whole trip will last over a month. 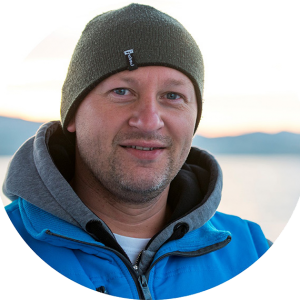 The organizer of the diving expedition is the Aquatravel.eu travel agency from Olsztyn, represented by Miłosz Dąbrowski, while the cruise, which will take place on the SELMA yacht, is organized by Selma Expeditions Sp. z o.o. from Wroclaw, represented by Krzysztof Jasica. On 16 January 2019, we will sail from the port of Ushuaia in Argentina and sail straight to the Antarctic Peninsula, across the Drake Strait, connecting the Atlantic Ocean with the Pacific Ocean and the Southern Ocean. I will be there for my own artistic-educational project (photographic-drawing), with an extremely double face. The Antarctica Project is an artistic-educational undertaking (photographic-drawing) with an extremely dual face. The opposite character of the project results from the fact that its effect will be two completely different works, which, however, are supposed to complement and constitute a complementary whole. One of the publications will be an exclusive, collector’s photo album, released in a limited edition of 1 500 copies, intended for a mature audience – connoisseurs of art and photography. The second will be an illustrated book for children, published in the number of 3 500 copies – of which 1 500 copies of the book will be included in the package to the album, and the remaining 2 000 copies will be issued as an independent entity. While sailing a yacht on the waters of the Antarctic Peninsula we will be moored at selected sites to go down under the water and capture on the photographs underwater life and icy landscapes of this area. We will not protect what we do not love, and we will not love what we do not know. Photography is meant to illustrate to the recipients the beauty and magnificence of this raw and virgin corner of the world. An illustrated book for young explorers, touching on environmental science issues! 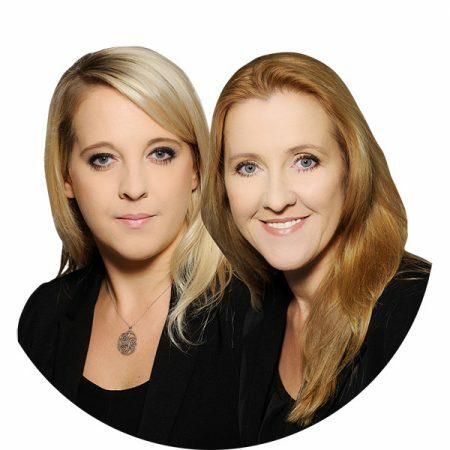 The book is the opposite in itself – my goal is to create a unique, very unusual scientific publication, as directed mainly for children. Although I assure you that adults will not only be delighted with it like children, but will learn a lot from it. Because of my passion (wildlife and underwater photography), experience and education (environmental protection) for many years I have a strong need to do something for the environment, through the education of the young generation. Why an illustration and book for children? Because children will face in the future with the effects of our today’s activities, which adversely affect the condition of the natural environment. My ambition is to shape children’s awareness and pro-ecological attitudes based on solid scientific facts and knowledge. The book will be devoted to ecological education and will address such issues as: meteorological and geophysical processes, climate change, global warming, air, seas and oceans pollution, plastic in the oceans, greenhouse gas emissions, natural processes, ecosystem sensitivity, over-fishing, poaching, whale hunting, life cycles, underwater organisms, sea currents, work of scientists in research bases in Antarctica on monitoring and behaviorism of Antarctic nature and many more. Antarctica is the place where the fate of our globe decides, which is why it is the best point of hooking, which will allow to refer to environmental issues, which are the inspiration for the creation and publication of this book. The correctness of the presentation of scientific facts in the book will be supervised by members of the Scientific Council composed of: prof. Ph.D. Janusz Olejnik, MSc. Anna Grebioniow and Ph.D Jakub Małecki. The book will be illustrated by two utstanding illustrators – my friend, Marcin Leśniak – an excellent, talented cartoonist – the author of illustrations for children’s books, “Kazik’s Africa” and “Ocean is a piece of cake” and Marek Kołodziejczyk – excellent wildlife illustrator. 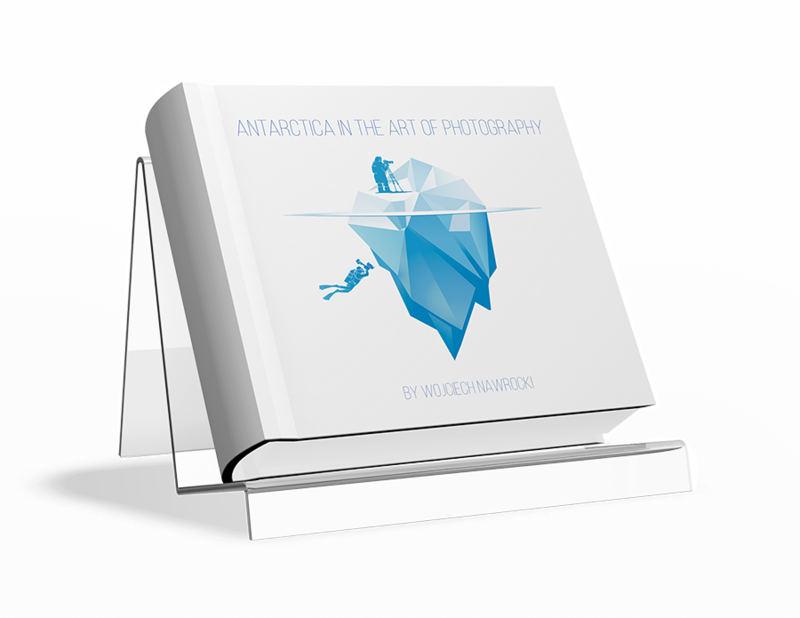 The “Antarctica Project” Team consists of the “Artistic Team” represented by the photographer and two illustrators. However, the Artistic Team is not everything – to implement the Project are indispensable people, without whom the “Antarctica Project” does not come into existence. It consists of: Scientific Council, Physical Preparation Trainer, Organizer of the Diving Expedition, Organizer of the Antarctic Cruise, SELMA yacht crew, Participants of the Expedition, Partners and Media Patrons, Sponsors and Project Friends. born on July 26, 1980; MSc. environmental protection at Poznań University of Life Sciences and engineer degree in the field of International Rural Innovation and Development at Dronten Professional Agricultural University in the Netherlands. 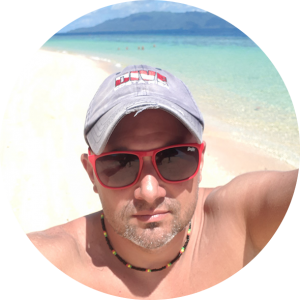 Photographer, naturalist, traveler and scuba diver. Initially, he traveled and dived for adventure, and now he does it primarily for the image. 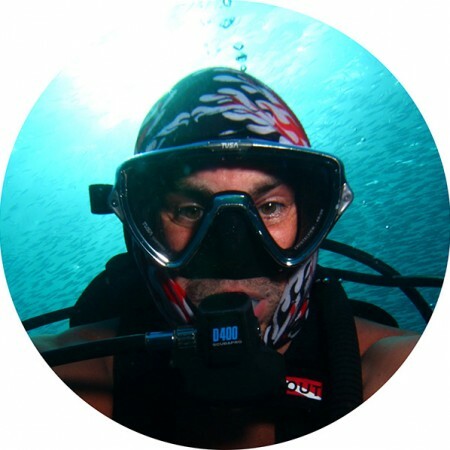 A scuba diver with over 20 years of experience, having on account hundreds of dives and licenses for deep technical diving (TecDeep and TecTrimix PADI DSAT). He combines and uses his experience of a naturalist, traveler and diver in photography. He deals with wildlife and underwater photography, first and foremost immortalizing the world of wild animals, landscapes and abstract forms. He specializes in uncomfortable and demanding nature photography, implemented in difficult environmental conditions – on swamps, wetlands, backwaters, peat bogs and under water – in seas and oceans, lakes and rivers. Since 2013, he has been awarded and honored in 25 photo contests, both nationwide and international (see “Awards and honores in photographic competitions”). His photographs decorated many exhibitions, including post-competition exhibitions and were published in magazines, folders, calendars, promotional materials, on internet portals and broadcast on large-format LED screens. Through his beautiful and artistic staff, he would like to draw attention to the beauty and subtlety of the surrounding nature, and in particular, the need to protect it. From childhood, fascinated by nature and deepening knowledge in the field of environmental protection. His life path has always been parallel and in harmony with nature. From the moment he directed his education by starting secondary school at environmental protection profile, he remained faithful to this way until today. He graduated with honors studies in the field of environmental protection, and in the years 1995-2000 he was a volunteer of the Polish Society for the Nature Protection “Salamandra”. 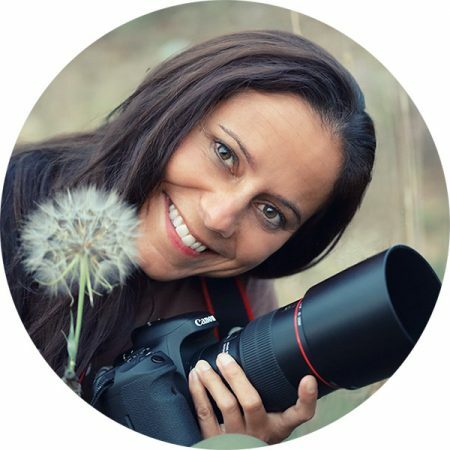 Currently, he pursues his natural and photographic passion on many fronts, in many fields and in various ways – both in the professional and personal fields. 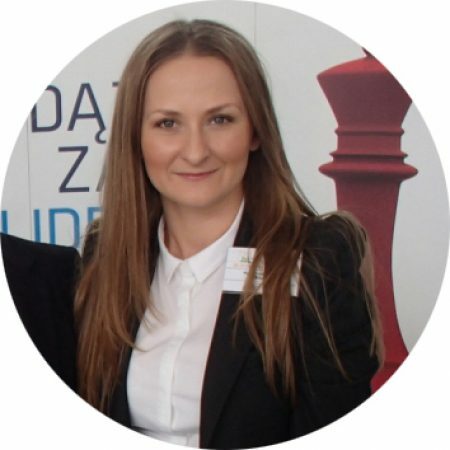 Professionally – Member of the Board and Co-owner of the consulting company METROPOLIS Doradztwo Gospodarcze Sp. z o.o. providing services of getting grants especially for projects aimed at environmental protection (air protection, renewable energy sources, water and sewage management, waste management). 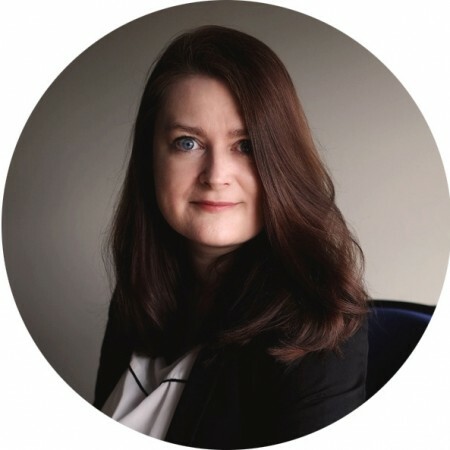 Expert appointed by the Ministry of the Environment, Ministry of Economy and Marshal Offices for the evaluation of projects for co-financing in several areas of specialization related to environmental protection. He supports organizations and initiatives working for nature conservation – especially in protection of birds and aquatic ecosystems. He personally joins in the education of children, through conducting environmental lectures, which are always accompanied by a show of his excellent and unique photographs. A self-taught artist. He draws since he was able to grab a pencil in his hand. For several years he has been professionally involved in illustration. The owner of the company “Bazooka Pictures Marcin Leśniak”. Among the several children’s books he illustrated, there is a bestseller entitled “Africa Kazika” by Łukasz Wierzbicki, telling about Kazimierz Nowak’s cycling and walking journey through Africa. 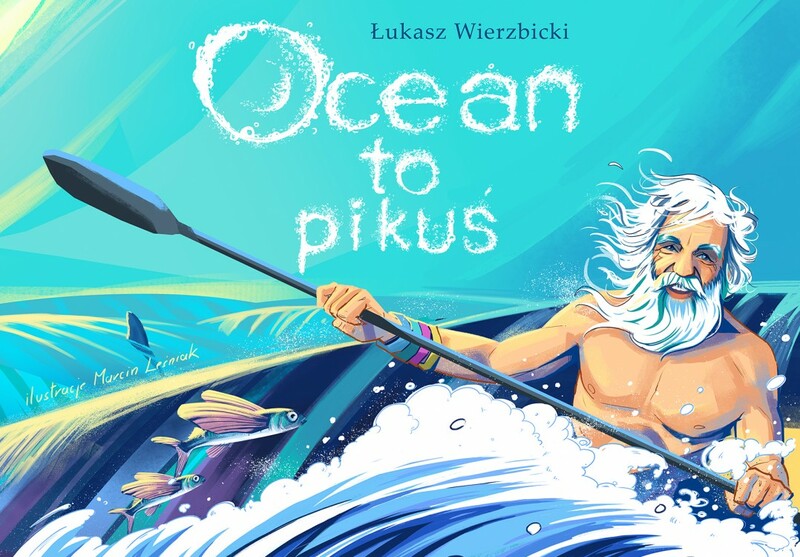 In March 2018 appeared the next title of the Wierzbicki – Leśniak duet, entitled “Ocean is a piece of cake”, telling about the expeditions of Alexander Doba, who sailed three times across the Atlantic by canoe. Associated with publishing houses: BIS, Nowa Baśń, Sorus and agencies and production studios such as: Platige Image, K2, V&P, Chromatique, Riverwoood, Alchemiq Studio, Opcom and others, for which he creates advertising illustrations and storyboards. 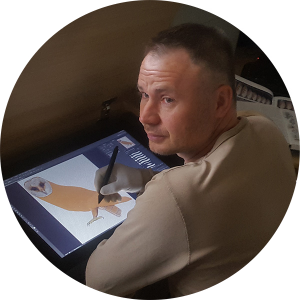 Marcin Leśniak is sometimes an attraction of various events, in particular Pyrkon, where, since a few years he has been drawing heroic caricatures and meets with fans. Yearbook 79. Proudly standing in the post of his wife’s husband and fulfilling himself in the role of s father of two wonderful sons. He runs a Facebook profile entitled “Marcin Leśniak Rysuje” and organizes meetings that train their skills for Poznań drawing artists. Born in 1977 in Parczew – a town located inside the wild region of eastern Poland – Polesie Podlaskie. It was the close proximity of such extraordinary places and ecosystems that was a source of inspiration for him and allowed him to develop a passion for communing with wildlife. He spent hundreds of countless hours on his beloved Polesie to observe, track and photograph animals in their natural environment. Patient voyeurism of wilderness has allowed him to acquire extensive knowledge in the field of anatomy and behavior of various species of animals and their relationship with the environment. From an early age, he tried to transfer his experiences and emotions associated with communing with wild nature to art squares. 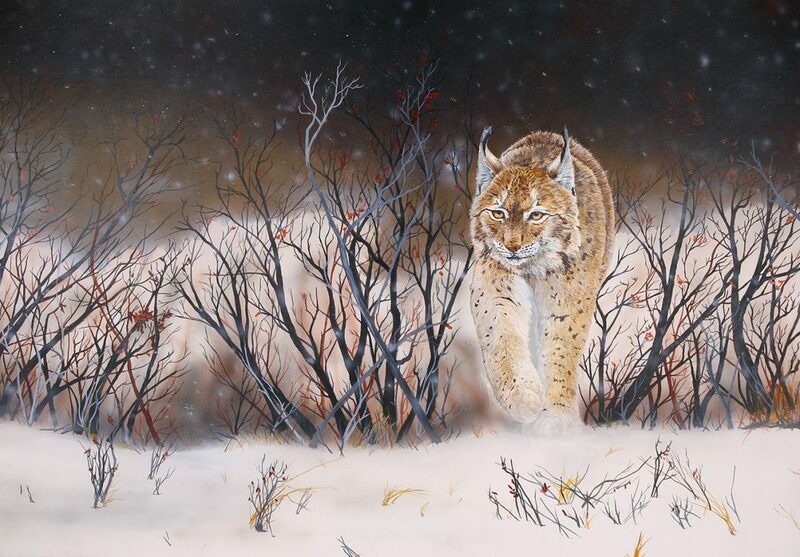 The acquired knowledge combined with innate artistic sensitivity now uses to depict animals in their natural environment. As a goal he set himself drawing nature with photographic accuracy and in the most realistic way possible. In his works, he uses various painting techniques, but he also tries his hand at such extreme arts as sculpture or taxidermy. A graduate of the Faculty of Biology and Earth Sciences of the Maria Curie-Sklodowska University in Lublin. Active member of the Lublin Ornithological Society and the Committee for the Protection of Chicken. In 1998 he was awarded in the prestigious competition “Bird Illustrator of the Year” organized by the magazine “British Birds”. In the years 1998-2002, he exhibited his works several times at the Faculty of Biology and Earth Sciences UMCS. In 2005, his works were presented at the exhibition entitled “Birds of the World” in the Museum of the Roztoczański National Park. 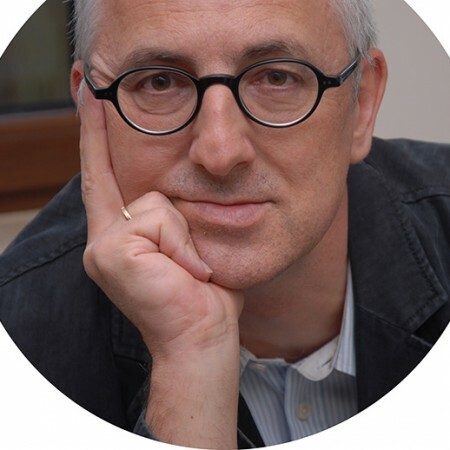 In 2008, he was one of the cinematographers for M. Krzyżański’s film entitled “Polish eagles” and a cycle of natural programs “100 000 Storks”, commissioned by TVP. Foundation for the Support of Ecological Initiatives. “American mink. Biology of the invasive species “and many others. 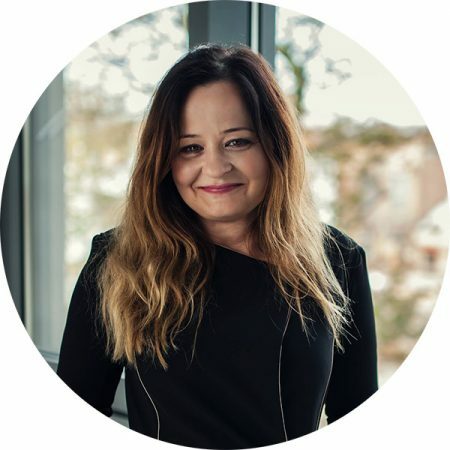 Head of the Department of Meteorology, Faculty of Environmental Engineering and Spatial Management at the University of Life Sciences in Poznań. 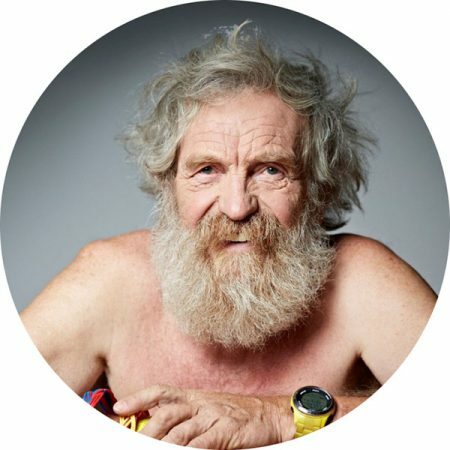 For many years he has been engaged in climate changes, focusing on the exchange of mass and energy between various ecosystems and the atmosphere as well as modern techniques for measuring greenhouse gas streams. Author or co-author of over 100 publications, of which over 60 are scientific articles published in national and international scientific journals and several chapters in scientific books issued by international publishers, such as: Kluwer Academic Press in the Netherlands, Elsevier in France, John Wiley & Sons and Taylor & Francis Group in Great Britain and CRC Press in the USA. He was, among others, a scholarship holder of the IIASA – International Institute for Applied Systems Analysis, Laxenburg, Austria), The Alexander von Humboldt Foundation, Monachium i Berlin) oraz the Dekaban Foundation at the UBC – University of British Columbia, Vancouver, Kanada. He coordinated many scientific projects in the country and the European Union, within which he cooperated with experts in the field of climate change at the Universities in Europe, the USA and Canada. He is also the manager of R & D projects commissioned by the General Directorate of State Forests. He lectured on international scientific conferences and conducted lectures at universities in the country and abroad. He represented Poland in five COST EU Actions – European Cooperation in Science and Technology. 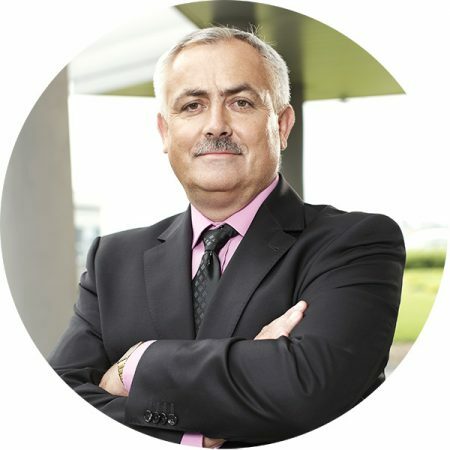 Chairman of the Polish ICOS-PL consortium (Integrated Carbon Observation System – Poland). 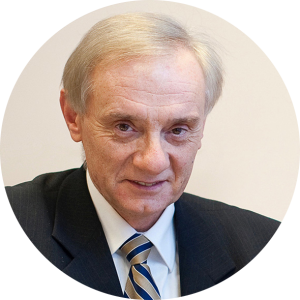 A member of the Scientific Council of the Institute of Agrophysics PAS – Polish Academy of Sciences, Forest Research Institute, Institute of Environmental Protection NRI – National Research Institute, Institute of Agricultural and Forest Environment of the PAS and the Naukaoklimacie.pl portal. 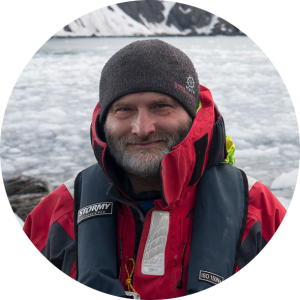 Glaciologist and popularizer of knowledge about glaciers, lecturer at the Faculty of Geographical and Geological Sciences at Adam Mickiewicz University in Poznan. Researcher and ice admirer. In 2013 he defended his doctoral thesis in the field of Earth sciences at Adam Mickiewicz University. in Poznan (AMU). Formerly associated with the northernmost outpost of the academic nature of the University Center in Svalbard (UNIS) and the University of Oslo. 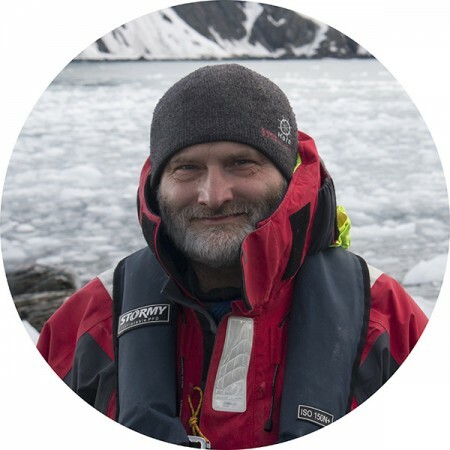 In his scientific work, he focuses on the response of glaciers to climate change and the processes that occur on, inside and under the glaciers. He loves the mountains, especially the snowy ones. Scientific director of glacier research projects in various climatic zones, including those distinguished in national design contests in the Andes and Tien-Szan conducted with students of the geographical department of AMU. Astronomy and astronautics lover. A great enthusiast for educating children, youth and adults on the Internet and in lecture halls. MSc in breeding and biology at Poznan University of Life Sciences. A naturalist by education, profession and passion. Professionally associated with non-governmental organizations involved in nature conservation and culture. Currently participates in the monitoring and protection project of the European pond turtle in Wielkopolska, run by the Polish Society for Nature Conservation “Salamandra”. From an early age, she has been infected to the passion for travel by her parents – mountaineering and active tourism enthusiasts. Fascinated by wild nature and learning about new cultures, she has realised many expeditions to various parts of the world. The result of some of them are aid actions for local communities. Particularly close to her heart are: Mongolian steppes, the Gobi desert, the Libyan Sahara, Namib desert, Lake Baikal, Bieszczady and Antarctica. Inspired by the achievements of Poles who in the 1970s traveled across the Gobi Desert by own-made sailing vehicles, in 2008 organized a sailing expedition to Mongolia in their footsteps. She remembered the memories in the book “Sails over the desert, with the wind through the Gobi”. Driven by the soul of the nomad, she came back from the steppes with the yurt that became her home. Brought up on the books by Centkiewiczs, stories by Amundsen and Scott, she gradually discovered her polar tendencies and tame the winter realities by trailing the frozen Lake Baikal in the two-woman team, and enjoying the tea from the melted ice. 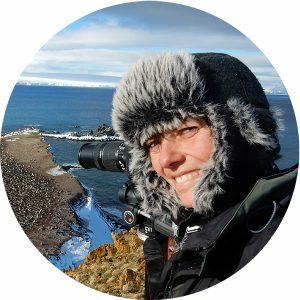 In the years 2015-2017, she participated twice in polar expeditions to the Polish Antarctic Station. Henryk Arctowski “Arctowski”, working as a nature observer in the field base, on the promontory of Lions Rump. Ania is a frequent guest of meetings and lectures, where she talks passionately about her work as a naturalist, which she has carried out for two seasons among penguins, sea elephants, sea lions and other pinnipeds and winged inhabitants of King George Island in Antarctica. There, on the unpopulated Lions Rump peninsula, in the field research station of the Polish Antarctic Station “Arctowski”, she experienced the realities of everyday life of nature observer, studied the surprising customs of animals and got to know the peculiarities of wild nature of the Land of Ice. Capoeira coach – a Brazilian martial art in which he has nearly 20 years of experience and hard, intensive work on improving its techniques. He mastered this art to perfection and passionately teaches it at the ASC, i.e “Capoeira Art Academy” in Poznan – one of the first Capoeira schools in Poland, affiliated with Associação de Capoeira Mestre Bimba – the world-leading Capoeira academy, which was founded by Manoel dos Reis Machado – master and creator of the Capoeira Regional style. He visited Brazil many times, where he trained intensively in martial arts academies of many famous masters in Salvador da Bahia – the cradle of Capoeira and in other training places in the world, not limiting to one discipline. 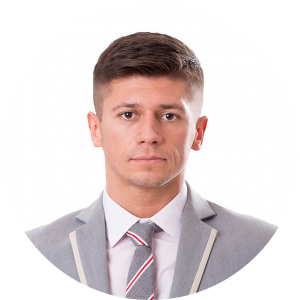 Co-founder of the “Luta Criativa” project – a program designed for professional athletes who improve their physical achievements based on multi-faceted fitness from the martial arts world. A versatile trainer of physical, fitness, acrobatic and smooth, healthy and strong body work in various sports and fitness clubs. A personal trainer who chooses an appropriate, individual training program for everyone and for every circumstance. He is an extremely charismatic person, full of positive energy. A very demanding instructor with the right approach to students and players. In January 2019, in the company of seven people and a permanent, three-man yacht crew, I am going on a diving and photo expedition to Antarctica. The whole Expedition will last over a month and will start on January 10, 2019, by departure from Warsaw to Ushuaia (via Rome and Buenos Aires), and end on February 15, 2019 with the arrival to Warsaw from Ushuaia (via Buenos Aires and Rome). The cruise on the route Ushuaia – Antarctic Peninsula – Ushuaia will last four weeks and will take place from January 16 to February 10, 2019. 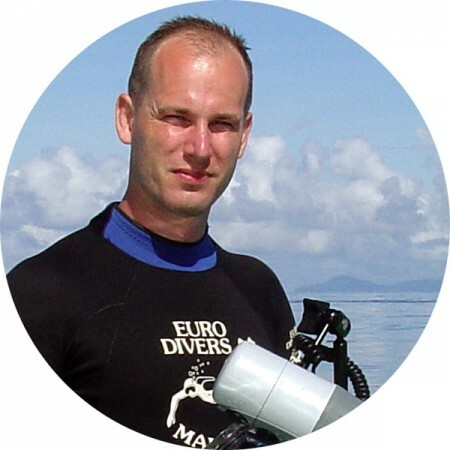 The organizer of the diving expedition is “Aquatravel.eu” travel agency from Olsztyn, represented by Miłosz Dąbrowski. Aquatravel is one of the leading Polish companies organizing diving trips. Every year, the company performs several expedition to the farthest corners of the world where the main point of the program is diving. No wonder that the total number of completed trips has already exceeded one hundred, which puts it in the position of one of the most experienced travel agencies with a diving profile. Since 2000, the company has been organizing diving courses and trainings under the brand “Aquadiver.pl”, while running diving equipment shop “Aquasklep.pl”and diving club “Aquadiver.pl”, located in Olsztyn, at ul. Żeglarska 6. 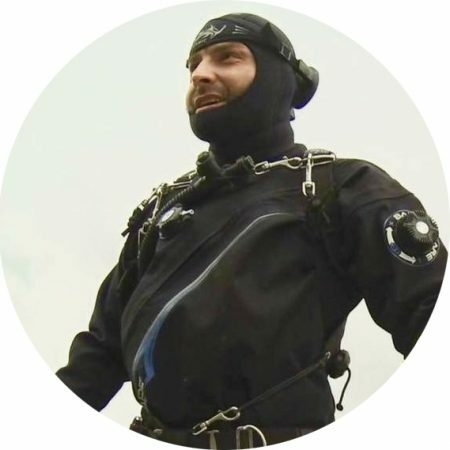 Aquadiver has already conducted more than 2 300 diving courses, which he performs in the PADI, CMAS and SDI system. Aquadiver creates enthusiasts loving scuba diving, what makes the training and diving expeditions organized by them, are unique and have individual character. The team takes care of safety and a good atmosphere, and diving is primarily their hobby, and then work. The organizer of the cruise to Antarctica is Selma Expeditions Sp. z o.o. from Wroclaw. SELMA is a two-masted steel expedition yacht with a length of over 20 m, equipped with everything necessary to ensure safe navigation even in extremely difficult conditions. The interior of the yacht is dry and spacious. There are comfortable berths in several independent cabins, a kingston with a shower, a galley with a kitchen hood, and in the mess – a yacht library, where you can find a lot of interesting books. There are no luxuries, high-gloss carpentry, stainless steel embellishments, electric capstans. SELMA’S philosophy is different. The expedition yacht must be simple and easy to use. The simpler the solutions, the lower the probability of failure and, if necessary, the possibility of repair by your own forces. Thanks to this, sailing to the furthest ends of the world, we are always self-sufficient. They started their adventure with sailing, having a dozen years. Today they have over 200 000 miles behind and many years spent on the seas and oceans. It is 15 years navigation in ice, 10 seasons in Antarctica, difficult to count cruises around Cape Horn and more than 40 000 miles in the “roaring forties”, on the south of Cape Horn and in the Drake Strait. 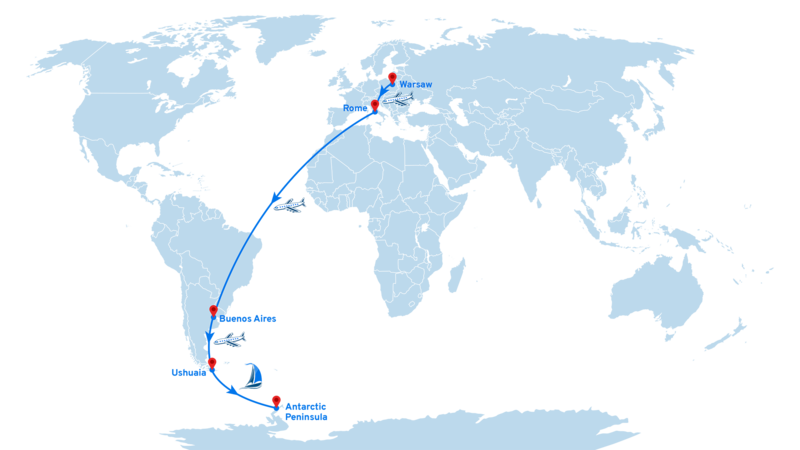 In 2006, they reached on the Polish yacht Panorama, the northernmost Arctic Circle, reaching 82°00.24′ N.
In 2008, Selma, as a Polish yacht, reached the southernmost Arctic Circle, reaching 70°11 ‘S. 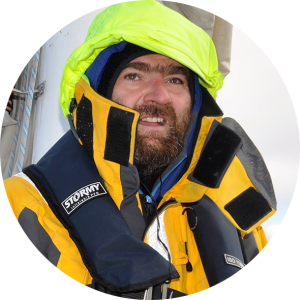 in 2011, as one of the few yachts in the world, he explored the extremely difficult navigable and treacherous Antarctic Weddell Sea. In 2013, Selma sailed around Horn in the winter, as the first Polish yacht and reached South Georgia and the Ivory Coast following in the footsteps of Sir Ernest Shackleton. In April 2014, the Great Expedition “SELMA – Antarctica – Perseverance” began. Selma set off from Ushuaia via the Pacific to Australia and took part in the legendary SYDNEY-HOBART Regatta. In 2015, it reached the shore of the Bay of Whales on the Ross Sea and reached the southernmost position winning the Guinness Record. The second goal of the expedition was to reach the summit of the EREBUS volcano, which amounts to 3 794 meters above sea level. SELMY’s staff stood on the top as the first Polish expedition. In December 2015, SELMA returned to Ushuaia, circling the “two Americas” defeating the “Northwest Passage”. In 2016 SELMA took another expedition to South Georgia, Ivory Island and Antarctica. In 2017, on the board of SELMA, the unique projet “Three Arts in Antarctic” has been realized. The SELMA yacht is a steel ketch, a two-masted sailing ship (with a mainmast and mizzenmast), with the first mast higher, carrying slanted sails on all masts; the rear mast is located within the construction waterline. The yacht was designed by well-known French constructor Georg Azueppe-Brenner and built in the CM Merret shipyard in Brittany. The theoretical lines were based on the lines of Kriter’s regatta yacht known at that time from the speed and maritime prowess. Selma has two independent control stations. One placed in the cockpit, the other in a comfortable wheelhouse. The anti-crash chamber in the bow, cut by a watertight door forpik and engine room, separated by waterproof bulkhead achterpik, soft entry into the water of the bow stern, give a safe yacht for sailing to the far north or south, where we are going to sail. Long, developed hawsers allow mooring in unusual places. Sonar helps in navigation on shallow and poorly mapped waters. SELMA is equipped with a compressor for filling diving cylinders. The construction and equipment make SELMA a valiant expedition yacht, intended for navigation in difficult conditions. SELMA is a solid yacht, designed for sailing in difficult conditions. There are four double guest cabins, a stern cabin for a permanent crew, a large galley, a mess and two toilets. An independent navigation cabin (wheelhouse) is located above the engine compartment. It provides comfort of navigation and control from the place sheltered from wind and cold. 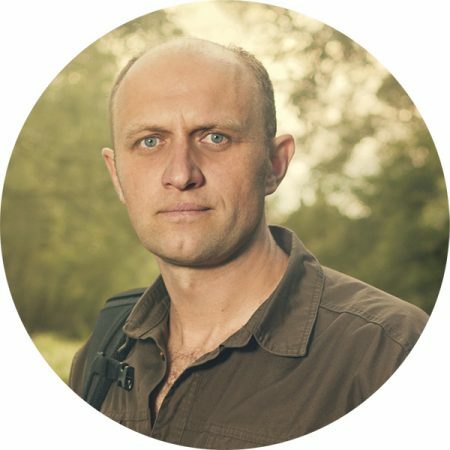 Adam Ławnik [en]Wildlife photographer, Member of the Social Council for the creation of Turnicki National Park, Polish Association of Nature Photographers, Participant of the Social campaign for stopping bird hunting - Let them live! „Wojtek is an extremely positive guy with a great passion for nature and photography, and at the same time a sensitive person, committed to environmental protection. His photographs are at the highest level and will certainly give artistic splendor to the “Antarctica Project”. Great appreciation for the idea of an educational book for children and an attempt to shape their awareness in the field of pro-ecological attitudes based on scientific facts. It is extremely important to promote Antarctica as a raw and inaccessible region, because now mass tourism is a huge threat to this wonderful world. Let Antarctica remain a wild place on the map of the world. „SALAMANDRA Nature Magazine is a richly illustrated national magazine published since 1994, the main goal of which is to popularize knowledge about nature and its protection, including rare and endangered species and habitats and valuable natural areas, as well as shaping beneficial for nature attitudes and behaviors. The main assumption of issuing it is to promote positively active attitudes – including encouraging personal involvement in activities for the protection of nature. Considering the pro-environmental and pro-educational nature of the planned “Antarctic Project”, which culminates in the illustrated children’s book, intended to illustrate important issues and natural curiosities about Antarctica and its animal inhabitants as well as global environmental aspects, we have decided to take patronage of this valuable initiative. “Due to the location of our Guest House “Ptaszarnia” in Świnoujście, which is very convenient and attractive for birds photographers of, Wojtek visited us often. Wojtek can retain in the frame fleeting moments of bird life in beautiful compositions, which requires a sense of “that something”, that is beauty, aesthetics, space, light and many other factors that make photography something in itself. His photographs are just like that and that is why we are sure that the frames brought from Antarctica will delight. „Wojtek is a great wildlife photographer, and Marcin is an extremely talented illustrator who is the author of illustrations for a children’s book entitled “Ocean is a piece of cake”, which tells about my kayaking expeditions across the Atlantic. I am convinced that the joint work of Wojtek and Marcin, relating to nature, environmental protection and adventure in Antarctica, will carry wonderful, informative values for children. 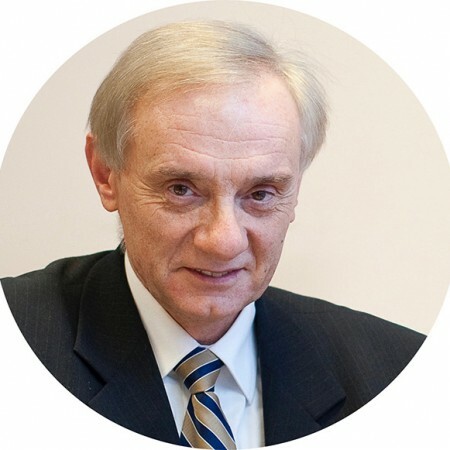 „The company represented by Mr. Wojtek has been a member of our Chamber for many years, and he himself has helped us repeatedly in the implementation of projects related to environmental protection, for example by obtaining funding for environmental investments for our members or leading a series of meetings on renewable energy and green labor market. 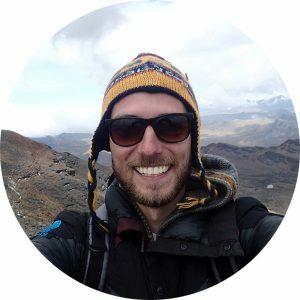 His knowledge in this field is huge, which, combined with a passion for nature photography and underwater photography, predestines him to create unique publications on environmental issues, whether in the form of a book for children or an album with unique photographs from Antarctica. 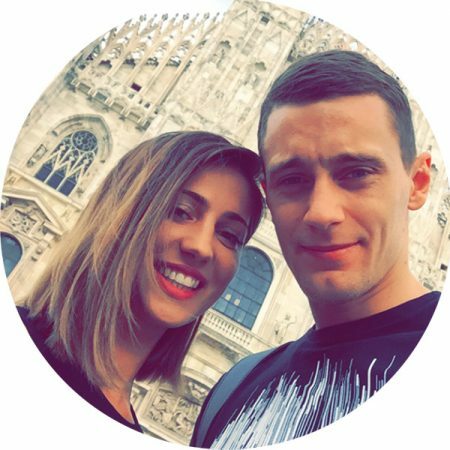 „I got to know Wojtek recently, but after a short conversation I felt that he was driven by gigantic enthusiasm and the belief that he would succeed – this is the basis for the success of the idea! As a naturalist conducting, among others classes with children as part of the “Salamandra” projects, I was particularly caught up in the educational message of the expedition. Wojtek wants to show not only the richness of Antarctic nature but also the various impact of human presence on this unique ecosystem of the largest nature reserve in the world. I am glad that the children will be explained with the essence and importance of nature monitoring that we conduct in the Far South. Maybe thanks to this, in the future, one of them will undertake to continue research and activities for the protection of Antarctic nature? 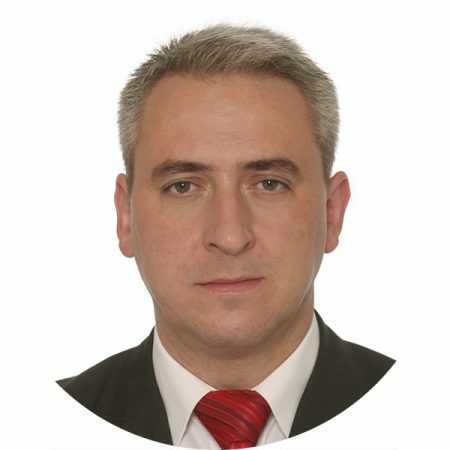 Bartosz Janc [en]President of the Board of METROPOLIS Doradztwo Gospodarcze Sp. z o.o. „Wojtek is my partner. For over 13 years, we have been running together company METROPOLIS Doradztwo Gospodarcze Sp. z o.o., in which we deal with getting grants. I work with him every day and like no one else, I know his determination and commitment to work. I do not know how he does it, but regardless of what he does, he always manages to do it – both in the company and in his private life. If Wojtek sets a goal and a task for himself, he devotes himself to it in 100% and always achieves success – the more so when it concerns the realization of his photographic passion – he can lose himself completely in it. 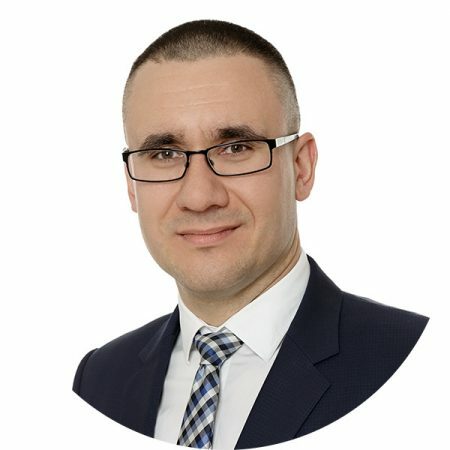 Grzegorz Sękal [en]Sales Director Horus Energia Sp. z o.o. „Horus Energia Sp. z o.o. he has always tried to support exceptional people who pursue their dreams with passion and commitment. Such people are the creators of the Antarctica Project. 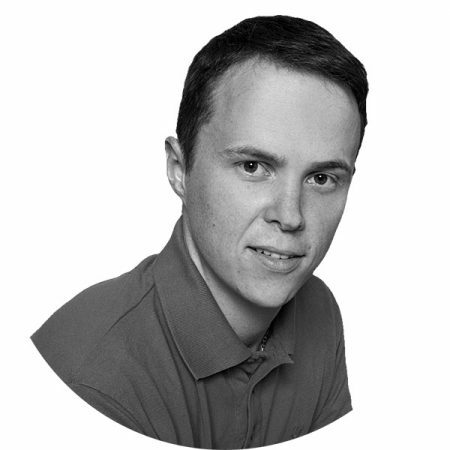 I had the opportunity to cooperate professionally with Wojtek and I know that he approaches each task very professionally, ensuring that the final effect is always worked out in the smallest details. I deeply believe that the Antarctic Project, of which he is a co-founder, will not only be a spectacular artistic work, but will also contribute to a better knowledge by us – people who do not travel to these regions of the world – of what the depths of Antarctic waters conceal. I am glad that Horus Energia has the opportunity to support this initiative. Building in our everyday work modern, ecological and effective sources of energy (sources of high-efficiency cogeneration), now also thanks to this artistic and travel venture, we have the opportunity to act for sustainable development. 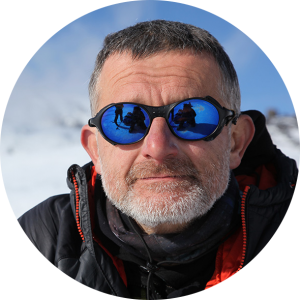 Jacek Tarczyński [en]President of the Board TARCZYŃSKI S.A.
„The coldest and windiest continent on Earth, which is Antarctica as the direction of the diving-photographic expedition is a great and at the same time an extreme challenge. The more I admire the enthusiasm and dedication to this project, which showed Wojciech Nawrocki, when deciding on the expedition. Taking into account the pro-environmental and pro-educational nature of the “Antarctica Project”, which culminates in an educational book for children and an album with photographs of Antarctica, I believe that it will contribute to building ecological awareness not only for future generations, but also ourselves. That is why I strongly support this project and its goals, which are also guided by my own company. Tarczyński S.A. is a modern plant producing natural meat products, located near the Natura 2000 area and activities under Corporate Social Responsibility are our priority. That is why we are constantly investing in environmentally-friendly, state-of-the-art production technologies, whose task is to reduce emissions to the environment. Global environmental processes, including environmental pollution and the resulting climate change, can have very serious consequences for the future of our entire planet. Making these processes aware of the greatest group of recipients should be our priority. Often one photography can work harder on our imagination than the thousand words uttered, and in the case of building ecological awareness is undoubtedly an extremely effective tool. I am convinced that the passion for Wojciech’s underwater photography, his enormous knowledge of ecology and the scientific-educational nature of the expedition is a recipe for the success of this project. 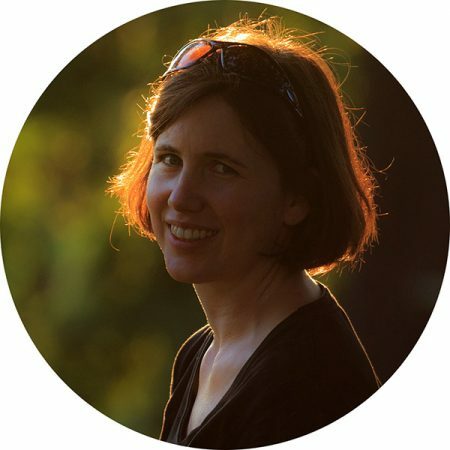 „As a person professionally and emotionally connected with the ice, I am observing with anxiety, on my own eyes, the effects of global warming. The ice, which is beautiful and whose role in the environment is difficult to overestimate, disappears at an increasingly faster pace, which will lead in time to very serious consequences for the whole planet. Unfortunately, the researchers of this process have difficulty transferring the results of their research to the public, because the charts and tables do not reach human consciousness just as strongly as the image. To educate and protect the polar ecosystem, scientists must go hand in hand with artists. Therefore, with great joy, I accepted the invitation to support the Antarctic Project, whose mission is particularly close to me. The project aims to educate people of all ages about the far south through the image and illustrations. This is what we need, to make Antarctica cease to be a mythical, barren wasteland for us, and became a real, sensitive area that controls the global mechanisms of nature. „Wojtek is my former student. He attended my lectures on meteorology, climatology and climate change. I am proud that my ex-student is now undertaking such an ambitious challenge – because this is how an edition of an illustrated children’s book should be considered, which is to explain in an accessible way such complex scientific issues regarding global environmental processes. Explaining to children where climate change and other environmental problems come from, will be an extremely difficult task – but if we succeed, we will achieve a common success that will allow us to look at the future with hope”. „City Brand.pl Energia Odnawialna organizes specialized trainings, workshops, seminars and conferences for regulated markets, in particular in the field of Renewable Energy Sources, cogeneration and energy efficiency. 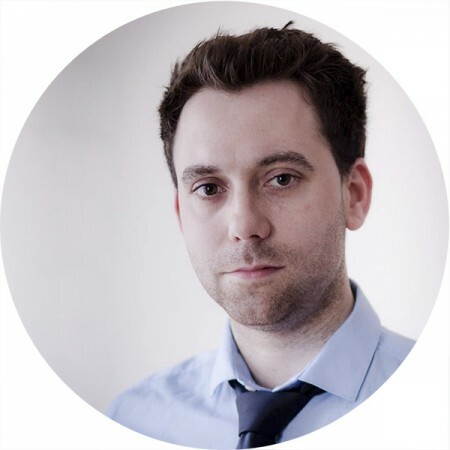 Wojtek is our regular speaker for many years, professionally presenting issues regarding public financing and the possibility of obtaining grants for the energy sector. Cooperating with Wojtek for years, we have got to know his passion for wildlief photography, which he infects everyone around. The photographs which he makes in exceptional environments (eg under water or in swamps) cause that he captures special moments, landscapes and creatures that most people will never see on their own eyes. For this reason, we will be happy to organize exhibitions of his photographs and illustrations at events organized by us. „Wojtek combines the solidity of a professional, the sensitivity of the artist with the enthusiasm of the child and the patience of the monk. This extraordinary combination, so important for nature photography, results in images at the highest level both in terms of artistic and content. The passion with which he deals with one of the most difficult branches of photography, which is underwater photography, helps him in the implementation of further challenges that he undertakes. Krzysztof Jasica [en]Vice President and co-owner of SELMA Expeditions Sp. z o.o. „I will coordinate the expedition to Antarctica as the Deputy Captain and Expedition Leader. We will reach unimaginable corners of Antarctica and help Wojtek to make a very good photographic material – both air and underwater. SELMA is a brave, steel expedition yacht, which we can explore very interesting and inaccessible places for large units, which will probably take Wojtek’s taste and give him a source of inspiration to make exceptional photographs. Maciej Roik [en]President of the Board of Biomass Media Group Sp. z o.o. „Biomass Media Group is the publisher of the “Biomass” magazine and organizer of three large industry conferences held every year, such as: “Biocarbon in Poland”, “Pellet Forum” and “Biogas Congress”. Each of the events lasts for two days, is very popular and gathers from 100 to 200 participants from the energy and industrial sectors. 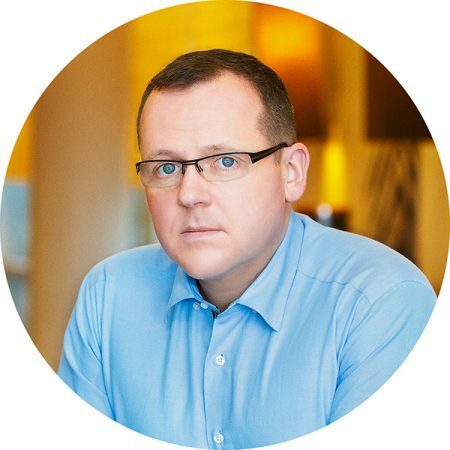 We have been cooperating with Wojtek for years – he is a frequent speaker at our conferences and the author of articles published by us. We were happy to accept the offer of being a Partner and Media Patron of Wojtek’s “Antarctica Project”. 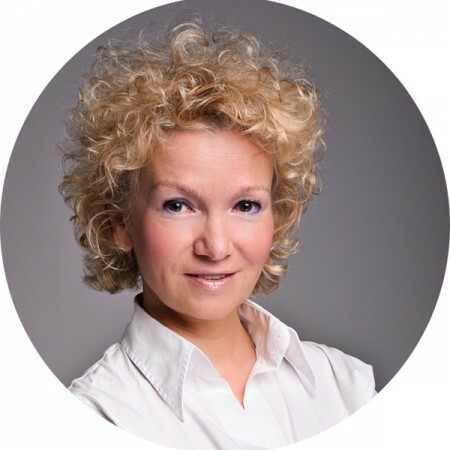 Małgorzata Wojtaczka [en]Conqueror of the South Pole, Member of the Board and Co-owner of SELMA Expeditions Sp. z o.o. „SELMA is an extraordinary yacht – it has always attracted exceptional people who with dedication realize on its board an unusual projects. This will probably be the case now, when a participant in our cruise will be Wojtek Nawrocki – an acknowledged, award-winning nature photographer and underwater photographer. Wojtek will try to implement a unique photographic and drawing project, whose aim is not only to show the beauty of this farthest corner of the earth in photographs, but also to raise awareness of the threats that we bring to this region through our activities – this will be discussed in an illustrated book dedicated primarily to children, but not only. Such an initiative fits perfectly into the philosophy of our expeditions, which we carry out with respect for the natural environment – in particular when we are sailing out to such a valuable natural area as the Antarctic waters. In January 2017, winning the South Pole alone, I became convinced that this corner of the world is unique and needs special protection, and Wojtek Projekt can make an important contribution to building ecological awareness. Marcin Mazek [en]Director of the refrigeration department ANDRA Sp. z o.o. „In ANDRA Sp. z o.o. we design and build cooling and heat recovery systems based on absorption and compressor technologies. We equip the system with necessary hydraulic and electrical installations as well as automation and visualization systems – we build turnkey systems. We care about the energy optimization of solutions. We indicate the possibilities of effective use of utilities with the priority of waste energy transfer generated in technological processes to the places of its collection. 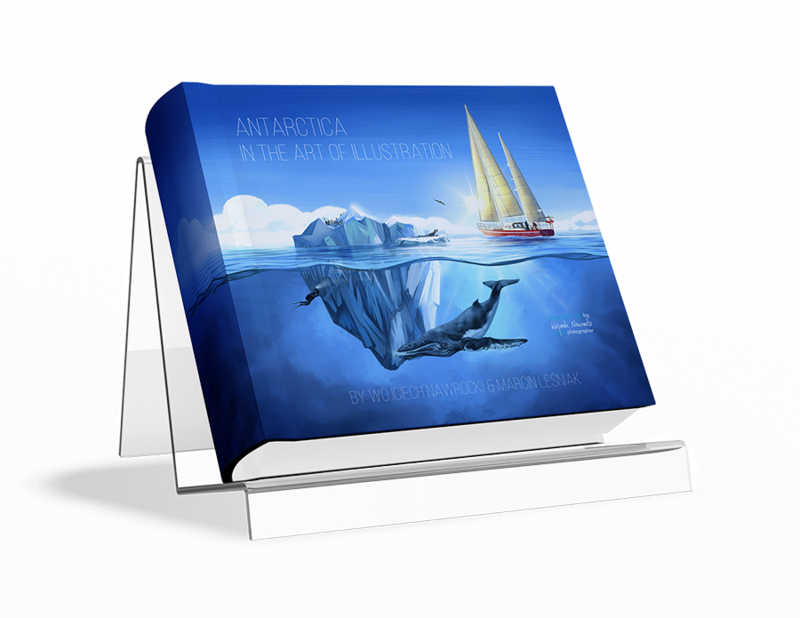 The “Antarctica Project” is an extremely bold initiative, that aims to publish an illustrated book that educates children in the field of environmental protection. Our technological solutions are used to improve energy efficiency and reduce emissions of pollutants into the air, which is why we liked the idea of this project very much and decided to participate in it as a Sponsor. The effect of this initiative will also be an exclusive album with unique photographs, which are a kind of individual exhibition for the reader who can get to know this beautiful underwater world of nature. Both publications, which we will receive as part of sponsorship, will be an excellent gift for our clients. „Wojtek is a true photography enthusiast. Acting both on the surface, where he successfully photographs birds and under water, he achieved a really high level of photos, which is confirmed by numerous awards and distinctions. „We met with Wojtek on the first year of the Environment Protection at Poznan University of Life Sciences. A shared passion for nature and diving caused our paths to cross many times, intersect and probably cross in the future. I know him well, I know his possibilities and creativity, but still he surprised me with his “Antarctic Project”. It’s really amazing that he has managed to combine his passion for nature, photographic passion and diving in a venture that will have a real impact on human consciousness. Understanding the complex mechanisms of climate change and the need to protect the Antarctic ecosystem should not only concern scientists – this knowledge should be common … but how to do it? Wojtek took up the gauntlet. Education of the youngest and the older, but in a simple, accessible way according to the proverb – one picture worth more than a thousand words. „Mr. Wojtek is a man of success. 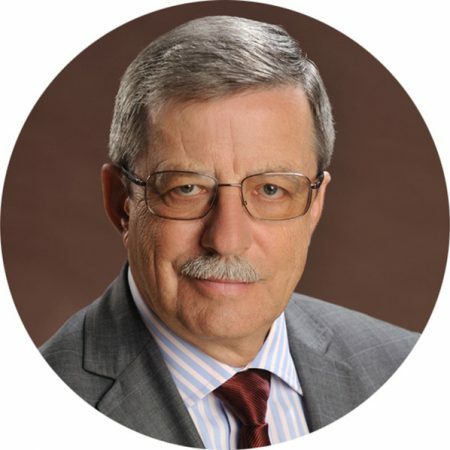 He is a Member of the Management Board of the company, which for many years has been at the forefront of the rankings of consulting companies getting grants, published in the pages of our magazine Fundusze Europejskie. His company ranks particularly high in categories regarding of environmental protection. Exactly this environmental area, is a professional “horseman” of Mr. Wojtek – it gives a basis to conclude that the undertaking he plans will be successful. We will also try to promote this undertaking through our media channels and internet portals. The exhibitions will accompany the conferences and trainings we organize for the energy and environmental protection sector. Photos from this frosty and icy end of the world themselves call for reflection on global warming and other environmental issues that we are discussing at our conferences, which is why I think it will be a great visual addition. 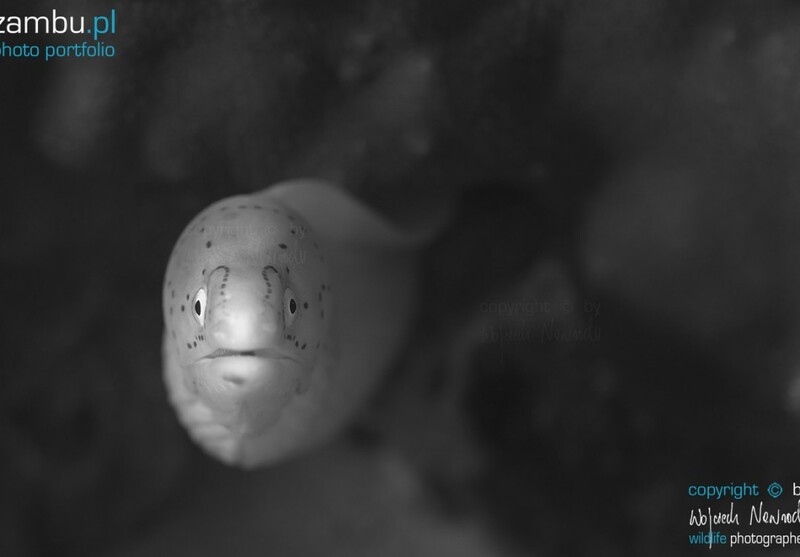 „Wojtek has already participated in many diving expeditions organized by my “Aquatravel” travel agency and he always came back with amazing underwater photographs. That will probably be the case now. „I know Marcin and Wojtek since 2001, since we started to take our first steps in the training room, practicing Capoeira – brazilian martial art, which I am currently an instructor and trainer. I undertook to prepare Wojtek in physical terms for a trip to Antarctica, so that he could meet the set goals of the Project. We started intensive trainings on January 10, 2018, so that the cycle of physical preparation lasted at least a year. 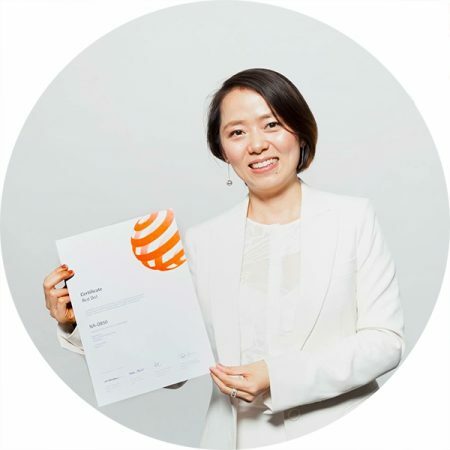 Phoebe Lu [en]General Manager of Nauticam International Ltd.
“Global warming is happening at an accelerated pace, and its impact is showing more and more at every part of the earth, including Antarctica – this remote and magical place in the earth. It is important to document this exotic landscape, life around this area and the changes happening right now. So as the importance of to raise the awareness, urgency of preservation, and reducing our daily carbon footprint to control the effect of greenhouse gas emission. „Wojtuś is a definition of enthusiasm for adventure, water and photography. It is a great mix, good promising for such an ambitious goal. That’s why I believe that the material brought by Wojtek will be a squeeze of the subject to the limit. „ITC Poland deals with the organization of specialized trainings, workshops and conferences, targeted primarily at the energy sector, water and sewage management and industry. Annually, we conduct about 40 trainings, which take place mainly in Warsaw and Katowice. I was very happy when Wojtek, with whom we had the opportunity to work many times, offered us the opportunity to organize exhibitions of photographes and illustrations that will accompany our selected events. Our trainings almost always touch upon issues related to the environment, so the exhibition depicting the effects of the “Antarctic Project” perfectly matches the theme of the conferences we organize. „I admire people with passion and determination to implement their ideas in life. I am glad that I have the opportunity to support an interesting initiative which is the Antarctic Project. I met Wojtek during the course for professional qualifications of the drone pilot, which he carried out at the DRON.edu.pl center – that’s when he told me about the expedition to Antarctica. 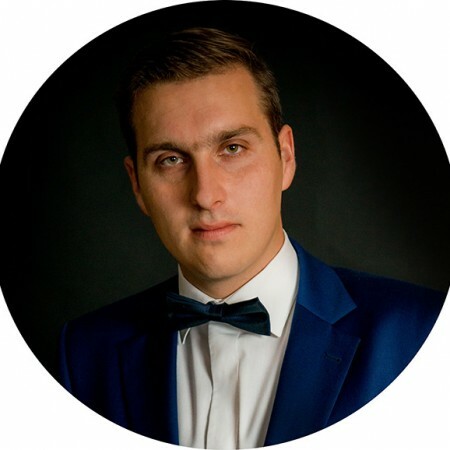 „Wojtek is a charismatic man with inexhaustible energy and enthusiasm. His person is a rare combination of the entrepreneur’s solidity with photographic talent and artistic sense. The Antarctica Project planned by him best shows how ambitious and demanding challenges he is undertaking. 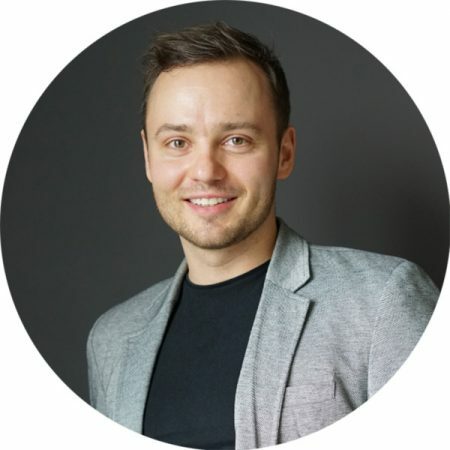 His project is a powerful artistic and educational undertaking, planned on a grand scale and refined in detail, which we are the best proof for, as we will support Wojtek in his initiative. owermeetings.eu as one of the leading conference and training companies in the energy industry, with great pleasure will contribute to the Project as an Exhibition Partner and Media Patron, organizing exhibitions at our conferences and publishing information about this event through our news and media channels. Both sides will benefit from this cooperation, and the guests of our conferences enjoy the extraordinary images brought by Wojtek from the farthest and coldest corners of the world. 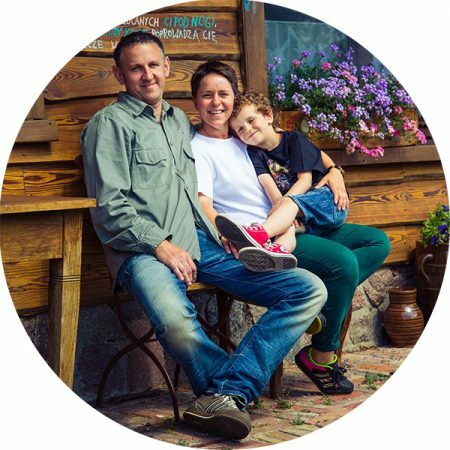 „For many years we have been hosting Wojtek in our restaurant, which allowed us to get to know him personally. We follow his photographic activities at exhibitions and social networks and we are delighted with his photographes. When Wojtek offered us cooperation in the “Antarctic Project” in organizing the exhibition in our restaurant, we agreed immediately. On the walls of our restaurant, located in Galeria Sucholeska, now hangs dozen paintings-prints, framed with 40×50 cm frames, which we will gladly replace with Wojtek photographs with dimensions of 40×60 or 50×70 cm, for the duration of the exhibition. We will also organize an evening with the author, to which we invite our regular guests. During the meeting Wojtek promised to talk about the expedition, displaying his photographs and about the scenes of making illustrations for a children’s book. „I will be very pleased to welcome Mr. Wojciech Nawrocki in my art gallery “V.A. Gallery Poland” and jointly organize a vernissage and an exhibition of his photographs from the expedition to Antarctica. V.A.Gallery Poland not only promotes Polish modern art, but also engages in interesting and unique projects, and undoubtedly, one of them is the artistic and educational project of Mr. Wojtek, who along with the illustrator – Marcin Leśniak, will introduce us to the unknown, ice underwater expanses. 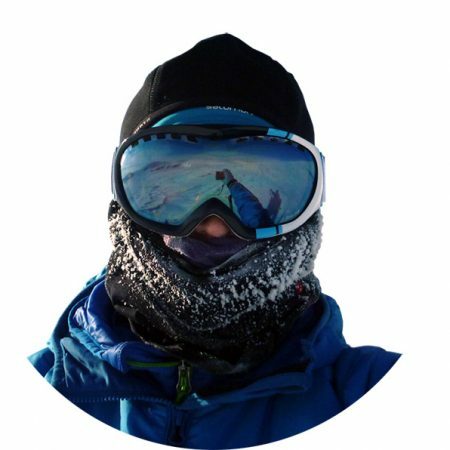 „I’ve known Wojtek for over 13 years, since my company has been keeping the accounts of his limited company and his private company ZAMBU Wojciech Nawrocki, in which he is implementing his current Antarctic Project. 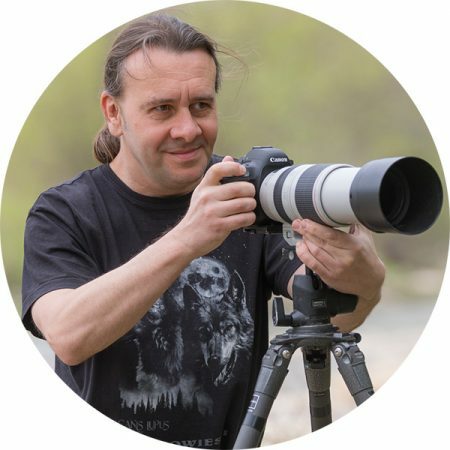 I have been following his photographic activity for years and I know what powerful means Wojtek engages in his passion – it’s not only about financial resources spent on photography and diving equipment, which I have the pleasure to post, but all his commitment to creating these sophisticated photographs. Whenever I was asking him about the scenes behind the creation of selected photographs, it surprised me how much time, effort and organization is needed to get an adequate research and understanding of a particular photographic subject and prepare to take such photos. I appreciate his passion all the more and I purchase his unique and award-winning photographs that decorate the walls of my office. I can not wait to see his next, unique image on my wall – this time from Antarctica. „The company METROPOLIS Doradztwo Gospodarcze Sp. z o.o., in which Mr. Wojciech Nawrocki is a Member of the Board, has been a member of our Chamber since 2006, and Mr. Wojciech is successful not only in the professional field, but also in private life, where he devotes himself to his passion for nature photography. His latest “Antarctica Project” is an extremely bold initiative, the aim of which is to take underwater and nature photographs which will find their place in an exclusive album. Very interesting is also a plan to release an illustrated children’s book, which aims to sensitize the young generation to nature and the need to protect it. This goal fits perfectly into the implementation of the idea of corporate social responsibility, which Mr. Wojtek takes on himself in order to educate children in the field of environmental protection. This project has a noble goal, and our Chamber will certainly be able to support this undertaking through its statutory activities, under which it supports the economic activity of its members”.